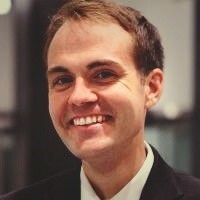 Matt is general counsel at nuTonomy, an MIT-spinoff self-driving car startup, and an affiliate of the Berkman Klein Center for Internet & Society at Harvard University. He graduated from Yale College in 2007 and Harvard Law School in 2010. He clerked for the Hon. Scott Matheson on the US Court of Appeals for the Tenth Circuit and the Hon. Edgardo Ramos on the US District Court for the Southern District of New York. Before joining nuTonomy, Matt was a Climenko Fellow and lecturer on Law at Harvard Law School.